Looking to buy or sell a Singer Island condo? 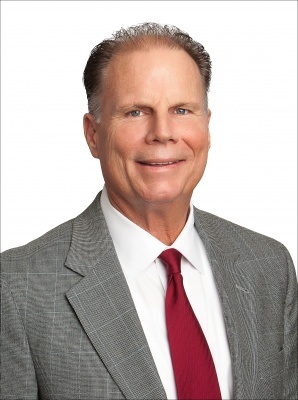 John Nugent has sold more condos on Singer Island and North Palm Beach than any other agent every year since 1997! Click to view: John's recent sales, Testimonials, or his latest Articles! John Nugent's reputation on Singer Island is legendary. With over 600 condos sold and over $300 million in total real estate sales, he has sold more than any other agent each year for the past 20 years. In fact, in 2013, he sold an incredible $39 million. But John will tell you it's not about the numbers. "It sounds simple," John says, "but it's all about treating my customers with the respect they deserve. There's no magic to my success... I provide personal attention to all my clients and deliver honest, timely information. I follow up quickly and make the process of buying and selling condos enjoyable and personally rewarding." John is indisputably the most knowledgeable authority when it comes to Singer Island real estate - in particular, luxury condos. He knows every view on this 5 mile-long island and has been in virtually every condo. John is well-informed on every aspect of the personalities, lifestyles, scenic views, amenities, and cultures of each condo. "Do it right" is John's mantra - and this has served him well over the years. He is always studying the market and is an expert in every aspect of condo living on this special island. John enjoys boating, fishing, and tennis - but admits he doesn't have much time for those activities these days. John is a family man with 3 children and 7 grandchildren. He works with his wife, Kathie, who has been part of the Waterfront Properties and Club Communities team for 15 years. Work and family take up about 100% of John's time. When it comes to Singer Island condo sales, "No one does it better than John." Contact us or submit the form below with any questions you may have about the real estate market and our services. We look forward to hearing from you!